Planning an overnight camping trip can be really fun and adventurous, but only if you’re well prepared. If you forget even one of the essentials that’s required on a camping trip, it can be a real challenge to overcome situations that may come your way. Depending on where you’re going, with who and for how long, your camping checklist might differ. But there are certain things that you always need to be prepared with. If you want to be well prepared for your first camping trip and have a fun and adventurous time, then here are some things you must remember. Always remember to familiarise yourself with your camping gear before you head out into the woods. It’s always better to know what you will be dealing with before you actually deal with it. A lot of first timers do not even open their camping gear till they reach the site and then struggle to understand how to go about using them correctly. Don’t make that mistake and understand each and every equipment of your camping gear beforehand. This would include familiarising yourself with your tent, utensils, camping knives, clothing etc. The best way to prepare for a camping trip is to make a checklist according to your actions on each day. Starting from morning to night, make a list of all the things that you will need on all days of your camping trip. This would include your toiletries, clothes, any books and maps you need, compass and more such things. After this, make a checklist of things that you may require in case of an emergency. This would include things like a torch, candles, extra food, water, extra clothing etc. It’s always better to be over prepared than under prepared or just on the edge. Always bring extra pair of clothing, food, water, torches and other such things that you might need. For adventurous trips like camping always pack and prepare for the worst so that just in case you are stuck in a challenging situation, you are well equipped to survive it. Since this will be your first camping trip, it’s advisable to camp closer to home or at least closer to the city borders. This is just a precautionary tip, so that in case of an emergency, you can rush back home quickly. 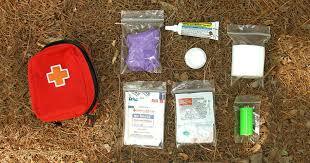 Always remember to carry lots of medical supplies with you on your first camping trip. Out, in the wilderness you are exposed to a very different environment than the one at home. So there’s always a chance of you getting injured or having allergies or any other medical problem. To make sure that a minor or major medical problem doesn’t cause too much trouble, always be ready with a well stocked first aid kit. Add a bug spray and sunscreen as an essential to your first aid kit because these are going to come in very handy on your camping trip. Before you head to your camping site, always know the rules and regulations of that place (if any) and make sure you follow them. If there are warnings and restrictions for certain areas, then do not wander in those areas because that could be very dangerous. Always keep someone informed of your whereabouts. Give a friend or a neighbour the exact address of where you’re going camping and if possible, keep them informed from time to time of your well being. Camping trips are supposed to be a lot of fun and adventurous but not without awareness and preparedness. 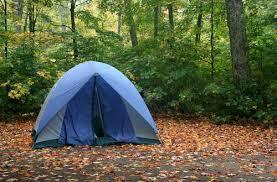 You cannot expect to have fun on a camping trip if you are not well equipped with your camping gear. Never think that you will not face any emergency situations because emergencies do not come planned. So, no matter what kind of a camping trip it is, always be fully prepared with your gear and take precautions everywhere. A well planned camping trip is definitely going to be a more fun and adventurous one. I would like to extend a big thanks to Billy at Perkins Knives for this guest Blog Post. 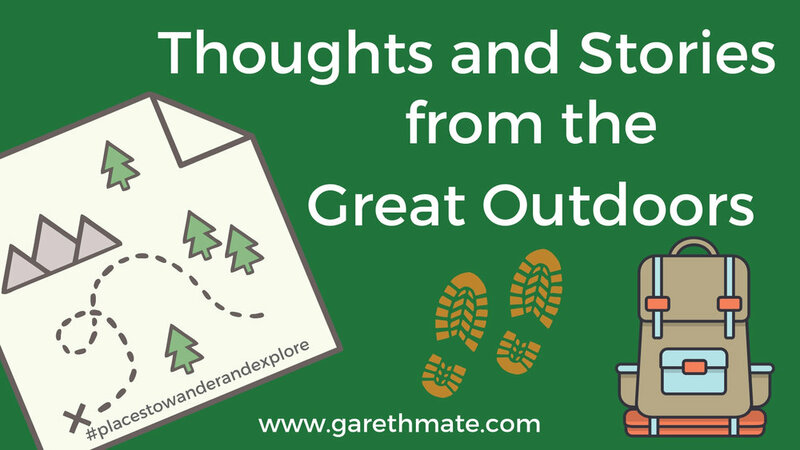 Thank you so much for your contribution and if you would like to add a guest post to my website, then please contact hello@garethmate.com for more information. You can read my latest Blog Post here.